The Samsung Galaxy Tab A 10.5 is Samsung’s half the specs version of the 10.5-inch Samsung Galaxy Tab S4, which is why it was launched at half the price too, originally at $329 when it launched in 2018. Samsung Galaxy Note 9 meanwhile is Samsung’s flagship phone with integrated pen and multiple pen features, which explains why it can be bought with 512GB of storage. But the 128GB storage version is another option in today’s Samsung Galaxy Tab A 10.5 + Samsung Galaxy Note 9 bundle. 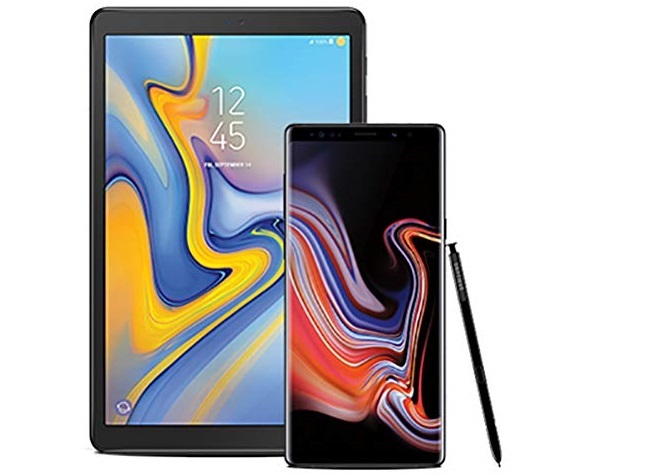 These are unlocked version of the Samsung Galaxy Note 9 in the color options Midnight Black, Ocean Blue (with the famous gold/yellow/blue S Pen) and Lavender Purple.